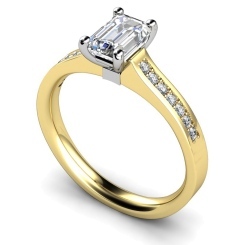 Ask for your partner’s hand in marriage with beautiful shoulder emerald cut diamond engagement rings. The shoulder diamond has the stunning beauty of a main solitaire diamond with accent diamonds on the shank. Capturing the light, the ring boasts a beautiful sparkle which is sure to make your loved one happy when you ask her that all important question. 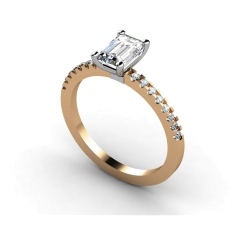 At Shining Diamonds, you can customise your diamond shoulder engagement ring to create a ring that is unique and special to you. 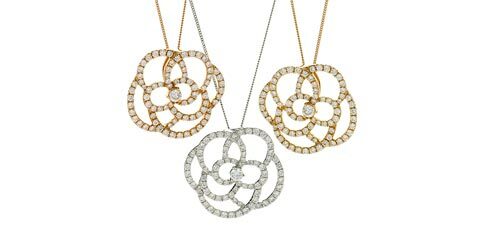 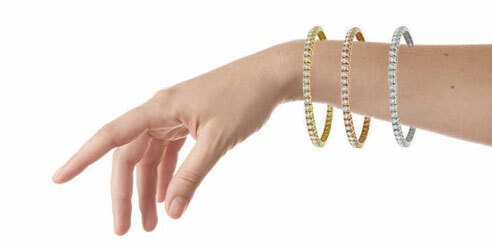 Decide between 8ct yellow gold, 18ct white gold or platinum and your preferred centre diamond. 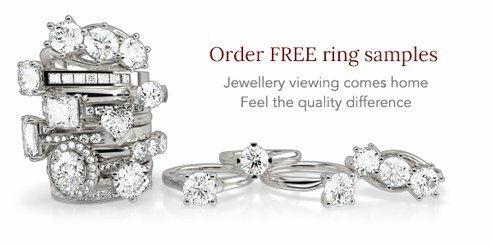 If you are not sure what engagement ring you want to order, our in-house experts at the jewellery quarter in Hatton Garden, will be happy to help. You can also order a free sample to help with your decision. 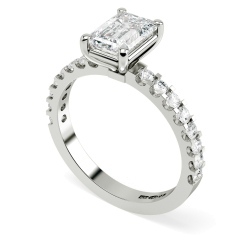 Choose an eye-catching emerald cut diamond engagement ring to accentuate the diamonds shine. 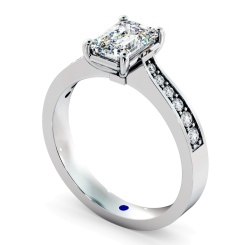 The timeless symbol of love will last as your love for your partner. The emerald cut has rectangular facets that are arranged parallel to each corner of the diamond. 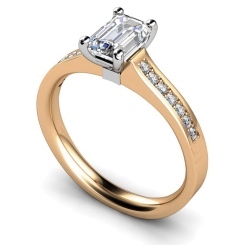 The engagement ring has been a promise of eternal love for many years. 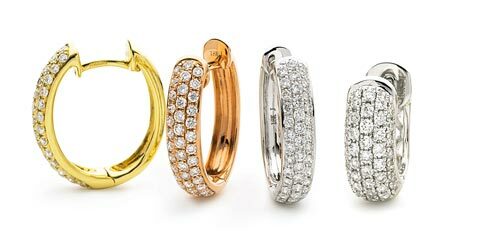 The first documented use of such a ring occurred in 1477 when Archduke Maximilian of Austria gave Mary of Burgundy a gold ring with the letter M embellished on it in small diamonds. 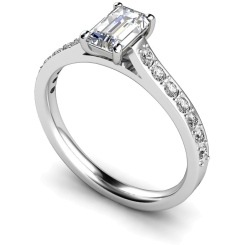 All of our beautiful engagements rings are hand made in Britain and have non-conflict diamonds. We understand the importance of having a ring that is unique to you, that is why we pull out all the stops to help you customise your engagement ring. If you have any questions about our shoulder emerald cut diamond engagement rings or any other of our jewellery, please feel free to contact us.